Cyber security and information technology leaders came together at Ignite in El Segundo for the second installment of Future Forums – a series co-sponsored by CSU Dominguez Hills, whose focus is on future industry trends, the workforce demands that will be required and, the opportunities that will be available tomorrow. Our panelists, whose cyber security background and breadth of experience spanned from aerospace and defense, financial technology and banking, to city government, and top-tier consulting practices, espoused the latest threat environment facing large and small organizations, the many intricate methods cyber attackers can utilize to breach a network and infiltrate even the most sophisticated defense systems, to present and future workforce growth, recruitment, and demand from colleges and universities to produce the next generation cyber security and information technology professionals. Read more at CSU Dominguez Hills website! 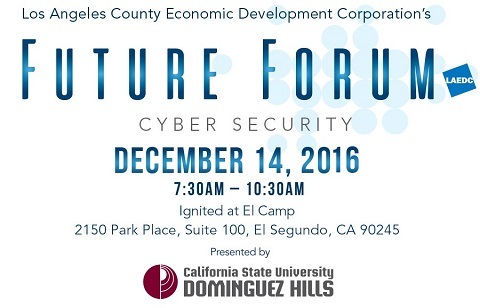 Opening remarks were made by LAEDC CEO, Bill Allen and CSU Dominguez Hills President, Willie Hagan, Ph.D., both of whom touched on the range of cyber threats facing L.A. County businesses, private and public sector organizations, and critical infrastructure. 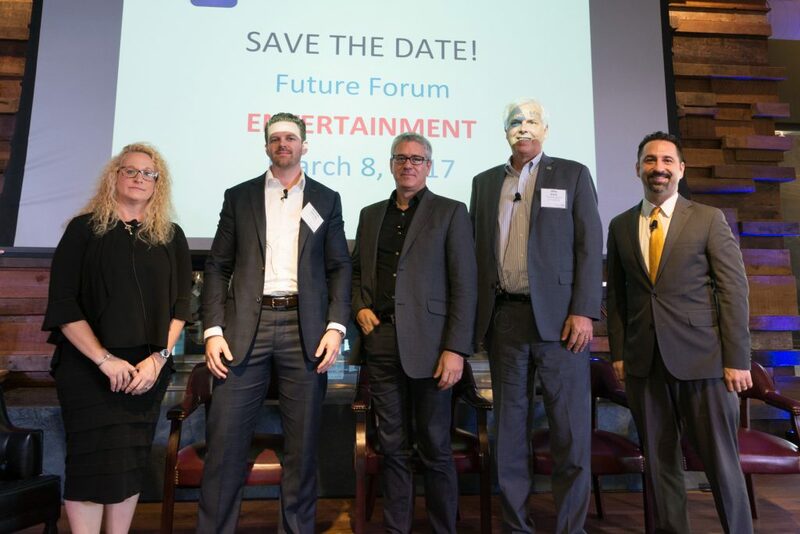 Their remarks set the tone for our distinguished panelists to engage members of the audience with an intricate and personal viewpoint for how best to combat and prepare for, an ever-evolving cyber threat and cyber criminals – whose high demand skills continue to advance, and monetize, coming at great expense to victims. 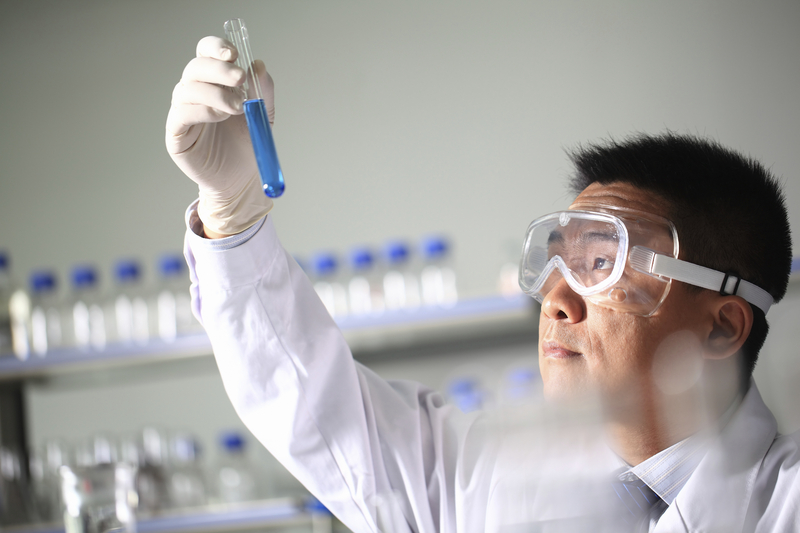 Technology and innovation are rapidly maturing and occurring across the spectrum. 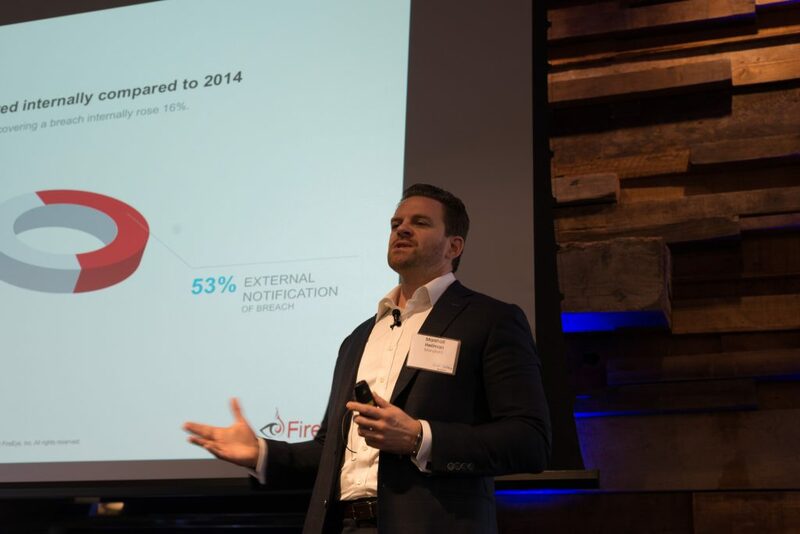 In conjunction with society’s reliance on the internet of things and connected devices, Marshall Heilman, Vice President & Executive Director of Incident Response and Red Team Operations for Mandiant, provided a personal look into the many hats cyber criminals employ to target, breach, and extract capital, personal data, and many other assets from both large and small organizations. According to Marshall, 47% of internal cyber breaches go unnoticed while taking 146 days for a company to realize its systems were compromised. In such a wide timeline of invincibility, the range of damage a cyber thief can extract upon an organization – whether it be through financial means, intellectual property and patent theft, or personal data – reinforced the message by Marshall and our panelists, that organizations need to be prepared for and equipped to defend against, cyber attacks through methods and approach combining traditional security protocols and staff training, to two-step authentication solutions, collaboration across public-private sectors, and tapping into training and recruiting future cyber security and IT workforce by fostering academic study with real-world experience and “war game” scenario training. As network and data protection become more heavily invested in through manpower and infrastructure, combined with significant workforce demand by the public and private sector, a staggering 209,000 cyber security jobs in the U.S. go unfilled with postings up 74% over the past five years. During the Q&A portion, Ted Ross was quick note that his department is seeing an aging IT workforce of which, nearly 50% are close to retirement. 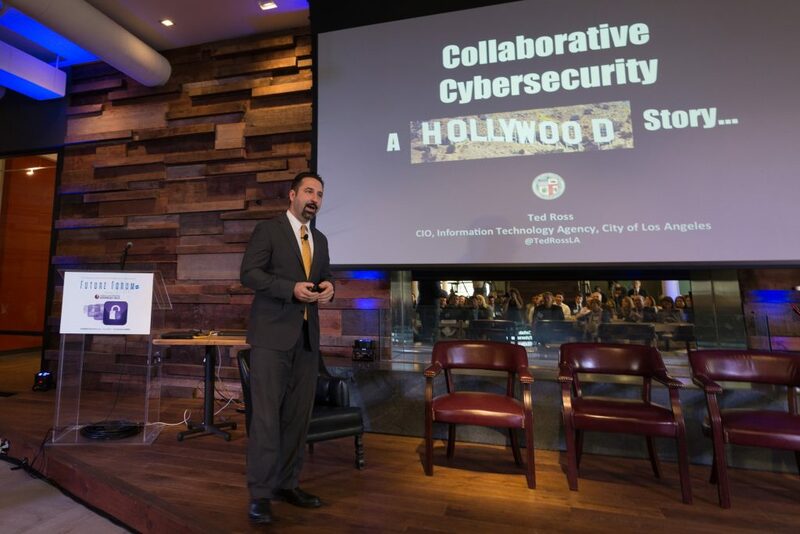 With many IT jobs left unfilled, Los Angeles County is well-positioned to drive future cyber security employment as our region is home to three universities accredited as National Centers for Academic Excellence by the Department of Homeland Security and the National Security Agency, in addition to leading research and engineering departments housed within nationally ranked colleges and universities. Did you attend this event? Please share your feedback in this quick survey.